It’s been a while since I checked out the hawker food scene at Jalan Imbi and was glad I tried the famous kai si hor fun (dry hor fun with shredded chicken) at Mei Sin Coffeeshop last weekend. 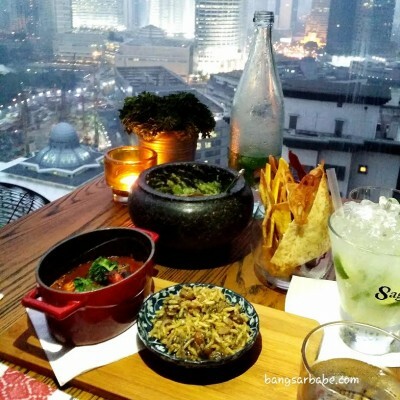 The place was hot and stuffy as ventilation was very bad, so it’s best to dress in t-shirt and shorts for a more comfortable dining experience. 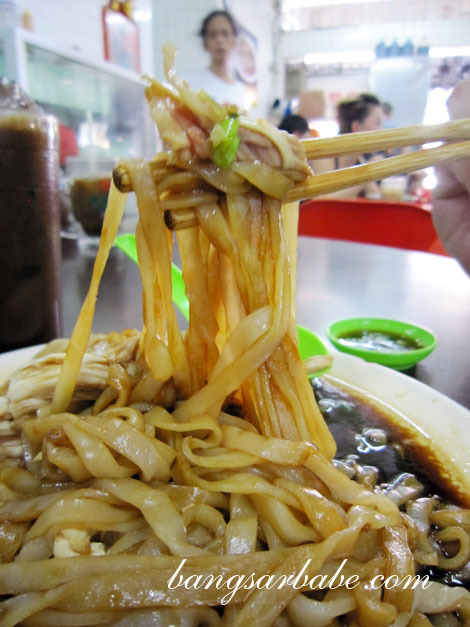 I ordered a large plate of kai si hor fun (RM6) – a simple dish of hor fun with dark soy sauce gravy, and topped with steamed chicken and fried garlic bits. Mix the noodles well to make sure the sauce evenly coats each noodle strand. I found the hor fun relatively smooth, but nowhere near the smoothness of Ipoh hor fun. The soy sauce gravy was aromatic from the garlic oil and had a good balance of flavours. While the steamed chicken was pretty tasty, I would have preferred the chicken thigh. I’ve never been a fan of chicken breast, hence my biased opinion on this part. 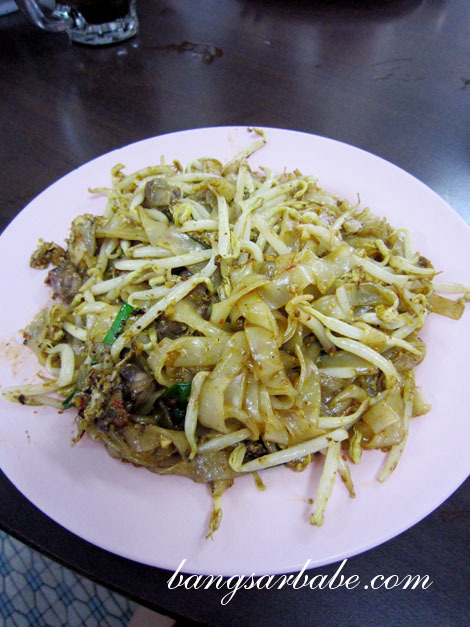 We spotted quite a number of people ordering the Char Kuay Teow (RM5.50 – large) and followed suit. The noodles came with plenty of cockles, three medium-sized prawns and crunchy beansprouts. Presentation wasn’t much to shout about, but the noodles were spicy and fragrant from the ‘wok hei’ (wok fire). But the 'wok hei' is. The beansprouts were crunchy and juicy, which complemented the fluffy yet firm texture of the noodles. I especially enjoyed the lightly cooked cockles as they added a touch of sweetness to the char kuay teow. While it’s not the best I’ve had, this is definitely one the good ones in Klang Valley. I found the pork noodles (RM5) very, very disappointing. Presentation was the best among the three noodle dishes we ordered, but the broth was bland. Maybe I should have ordered it dry-style, as the soup version wasn’t worth eating at all. The minced pork lacked flavour and didn’t do much to help with the taste of the noodles. Skip this altogether and stick to the two noodles above. Pork noodles aside, I was pretty pleased with my lunch here. Granted the noodles aren’t the best of their kind and prices are slightly on the high side, I like that I can get them under one roof. I’ll definitely be back! 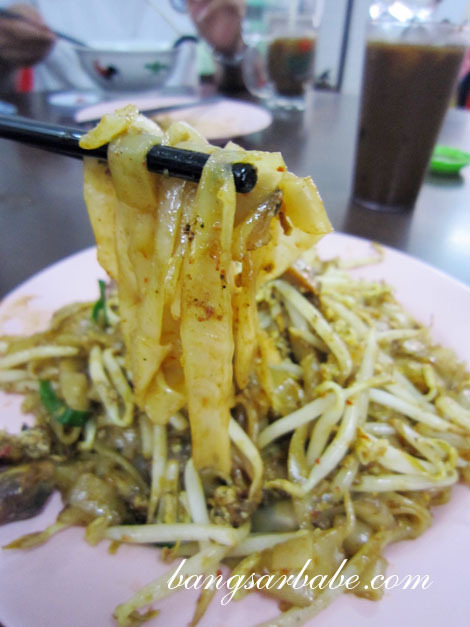 Verdict: Try the kai si hor fun and char kuay teow. Pretty good stuff. 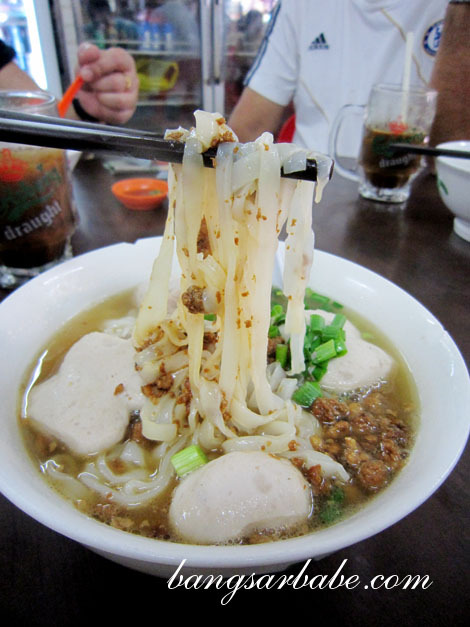 i will consider it as an option for a noodle meal when in KL on July! Normally I will eat dry curry Kai si hor fun…. Yes, it looks good. But the uncle is very old already. He was struggling to prepare the wantan mee. Poor thing! That I don’t know la. When I was there, he was the one making the noodles. U didn’t try that fried nian gao here? It’s awesome! There are so many places in that area I never know where to start. I don’t think it’s open. For dinner, you’ll have to go for Soo Kee. Expensive though. Oh… my usual spot for breakfast on Sunday mornings. Now that you mentioned the dry hor fun, I guess I’m gonna give it a go on my next visit since I’ve not had it for a very long time! Haha.